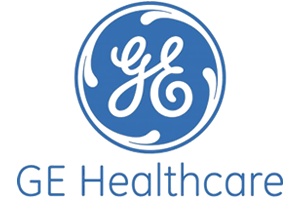 FLORENCE, S.C. – GE Healthcare will be holding a groundbreaking ceremony Tuesday at their facility on 3001 West Radio Drive to initiate a $40 million expansion that will create approximately 100 new jobs. State and county leaders, along with GE Healthcare executives and other prominent figures in the Florence area, will attend the groundbreaking scheduled for noon on Tuesday. According to Greg Cunningham, human resource business partner of GE Healthcare, a select few VIPs will be touring the facility prior to the groundbreaking ceremony. A press release with further details on the expansion and hiring will be circulated Tuesday morning prior to the ceremony. This expansion comes in the wake of the 16-acre solar farm constructed last summer and a $17 million addition in 2013. Dale Wolf, shop operations executive at GE, said the company is eager to grow during what is a very progressive time for the Florence area. Florence’s 500,000-square-foot facility is responsible for building components for magnetic resonance imaging (MRI) devices and other medical imaging systems. Wolf said each MRI magnet is made up of 2,500 different parts made by 170 different suppliers, and that one component of that single GE product supports 8,400 jobs. Currently, GE Healthcare employs approximately 350 people in the Florence area, and with the expansion and additional hires, Wolf said GE Healthcare hopes to continue to be an economic leader both locally and statewide.